Avoid paying big banks more than absolutely necessary in fees. 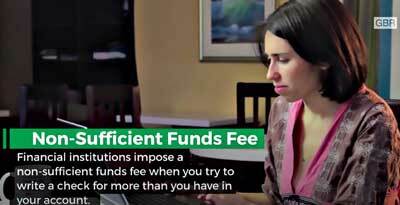 Fees can mean big profits for many financial institutions, so it’s no surprise that many banks nickel and dime customers with a range of fees, which can eat away at your account balance. When you’re selecting a bank, look for banks that don’t charge fees, or at least be aware of what actions trigger fees so you can avoid them. Learn how to avoid common bank fees. Financial institutions impose a non-sufficient funds fee when you try to write a check for more than you have in your account, but the bank declines the transaction. Banks typically charge the same amount for a non-sufficient funds fee as they do an overdraft fee, according to the Consumer Finance Protection Bureau, but usually won’t charge you a debit card transaction fee when a debit card transaction is declined. When you write a check or use your debit card for more than you have available in your account and the bank covers the fee, you’ll be charged an overdraft fee. 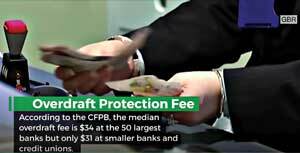 According to the CFPB, the median overdraft fee is $34 at the 50 largest banks, but only $31 at smaller banks and credit unions. You can avoid overdraft fees by not opting into overdraft protection, but keep in mind you’ll still pay NSF fees if you overdraw your account. You can usually find an ATM easily, and when you use your own bank’s or credit union’s ATM, you generally won’t be charged an ATM fee. But if you venture outside that network, you could be hit with ATM fees both from your own bank and from the bank that owns the ATM, according to the CFPB. To avoid having to pay ATM fees, consider finding a bank that offers accounts with no out-of-network fees or reimbursement of fees. Some banks charge monthly maintenance fees, sometimes called monthly service fees or minimum balance fees on certain types of accounts. But many banks offer ways to avoid paying this fee, such as by maintaining a minimum account balance, having a certain amount directly deposited into your account each month or using online bill pay. Additionally, you can switch to an online only checking account with no monthly service fee at institutions including Ally Bank, Bank5 Connect and AloStar Bank of Commerce. Some banks charge you a fee each time they send you a monthly statement through the mail. You can avoid this fee in most cases by signing up for eStatements. For example, with a BMO Harris Smart Advantage Account, you pay $2 per month if you want paper statements, but no monthly fee if you opt for the paperless option. 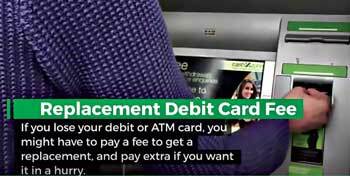 If you lose your debit or ATM card, you might have to pay a fee to get a replacement and pay extra if you want it in a hurry. For example, Bank of America charges $5 to replace a debit or ATM card, but if you want it rushed to you, you must pay an extra $15. But some accounts qualify for a waiver of these fees. Chase charges $5 if you want rush shipping, but otherwise, your replacement card is free. A cashier’s check is a special type of check that is guaranteed not to bounce because you’re required to deposit the funds for the check upfront with the bank. For this guarantee, banks usually charge a fee, though they might waive it for certain account holders. For example, Chase charges $8 per cashier’s check and so does TD Bank, but TD waives the fee if you have certain types of accounts. Savings accounts often have limits on the number of withdrawals you can make from the account each month without fees, and if you’re likely to exceed your limit each month, you might want to consider switching banks. For example, Barclay’s Bank Delaware charges just $5 for each withdrawal beyond the limit, and SunTrust’s Signature Money Market Savings has a charge of $15. 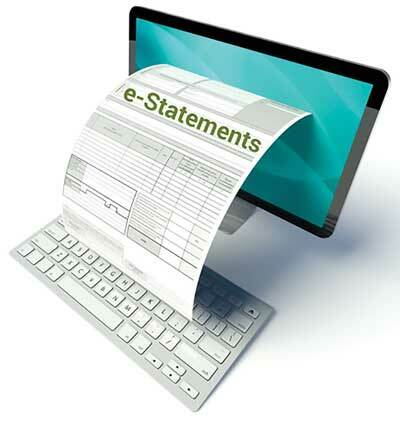 Wire transfers allow people to send and receive money quickly but come at a considerable cost. For example, Bank of America charges at least $30 for a wire transfer and Commerce Bank charges $40 for outgoing transfers and $12 for incoming transfers. 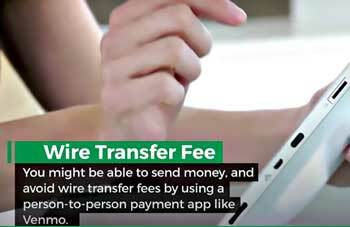 You might be able to send money and avoid wire transfer fees, however, by using a person-to-person payment app like Venmo or by checking with your bank to see if it offers an alternative. Cash advances refer to taking out cash against your line of credit on your credit card, which is different from using a debit card that draws from funds you’ve deposited. When you make a cash advance, not only will you pay a transaction fee, you’ll also pay interest on the amount of the cash advance until you pay it off. Even if you have to pay out-of-network transaction fees, you’ll likely pay much less if you access cash with a debit card. Some financial institutions might charge a membership fee for holding accounts or participating in certain programs. For example, KeyBank offers a Relationship Rewards program that helps you accumulate rewards faster but charges a $40 fee. You’d only want to consider paying this type of fee if the rewards you receive far outweigh the fee. Just because bank fees exist doesn’t mean you should resign yourself to paying them. With a little planning or comparison shopping, you can find banks that will provide the services you need with few or no fees. For example, shop around for banks that offer a no monthly fee checking account minimal checking account fees. For CDs, you can avoid the early withdrawal penalty by selecting a bank that doesn’t charge a penalty for picking a shorter term. In case you do get hit with a fee, you can call the bank and ask for a fee waiver, especially if you have been a longtime customer. Click link boxes below to view advertisers website. © 2018 TLC Magazine Online, Inc.